According to one of the workers at Delancy Street you can set you watch by the time the wind gusts come off the San Francisco bay. That is exactly what happened in this photo as both the bride's veils flew up simultaneously and I was able to capture the moment. 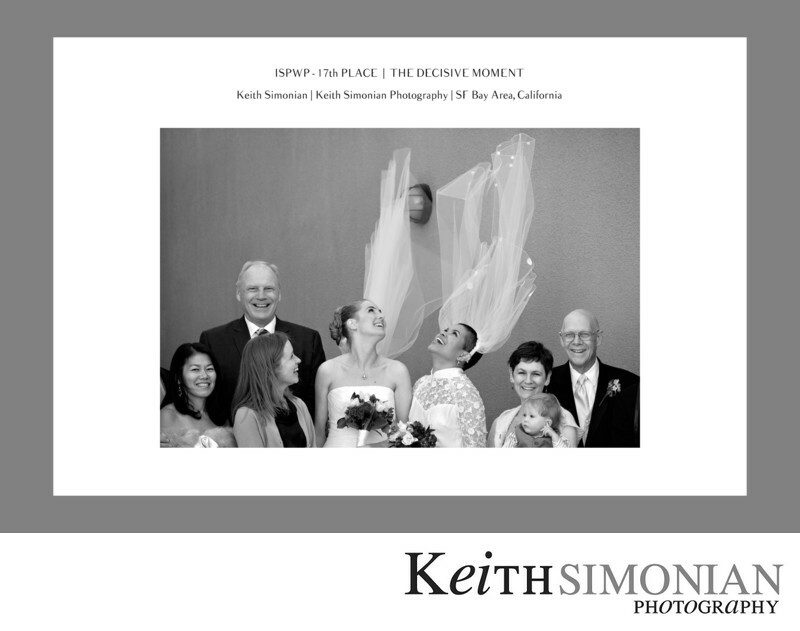 This photo featuring two brides took 17th place in the International Society of Professional Wedding Photographers quarterly contest. Location: Delancey Street Foundation 600 The Embarcadero San Francisco, CA 94107.